Can two lost souls find a way to be together? Will they see love isn’t something only a few people have, but something they can attain as well? 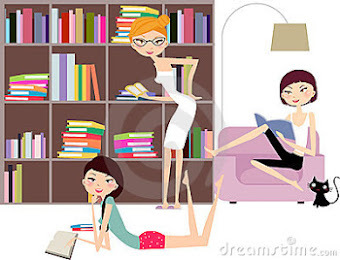 Daphne Waterman is a happy-go-lucky interior designer by day, but has a secret. Hiding her condition from everyone around her, she struggles with her emotions and thoughts alone, until one of her one night stands turns out to be in the wedding of her best friend, Francesca Taymon. Zander McKinney came into a lot of money recently. As his life is turned upside down, he struggles to make the changes to live the life he wants instead of the one everyone wants for him. When a raven haired beauty slips into his bed and steals his heart, he knows he’ll never be the same. Will he be able to break through her walls and make her see love isn’t an illusion? Can he tame her anxious heart? 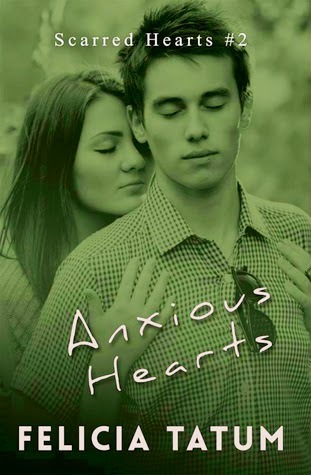 Anxious Hearts is Daphne and Zander's story, two characters that we met in Mangled Hearts. Daphne is Francesca's best friend and Zander works for her. I loved these two characters, especially Zander and was so excited to see that not only were they getting a story but that they end up together. Daphne had been keeping a secret from everyone in her life for quite some time now. While she seems to be this happy go lucky person, deep down she is dealing with her own issues. She has managed to hide her condition from everyone, using alcohol and men to make herself feel better. She is so afraid of what the people in her life will think of her once they know the truth that she has decided it is best to keep it from them. Now when I say that she uses alcohol and men as a coping mechanism I don't mean in the sense that she goes out every night gets drunk and has a one night stand. Most of the times it is in a town where no one knows who she is and for just that one night she can pretend to be someone else. There was something about her last conquest though that made her feel different than she normally would after a one night stand. There was some weird connection she felt but unfortunately she doesn't even know his name to track him down. Until she comes face to face with him at her best friends wedding and realizes who he is. Zander has recently come into some money. Ok more than just some money. He is basically loaded, but the money honestly has no affect on him considering where it came from. Zander's father left when he was very young, and his mother decided that money was more important than him and his sister so the only person he could truly count on was his Grammy. His mother's hopes for him is that he finishes law school and becomes a lawyer. But Zander has other hopes and dreams that he plans on fulfilling. Zander is honestly a really good guy that is just damaged from his childhood. He doesn't normally do one night stands but one night at a bar he just couldn't resist the woman sitting at the bar. There was just something about her and his thoughts continued to be about her even after that night. Several weeks have passed and Zander finally finds the one woman who had an impact on him but not only does she have a secret of her own, she also has these walls up and won't seem to let anyone in. Zander wants to be with Daphne, he wants to get to know her. But in order for him to do that she needs to let him in. Daphne does not believe in love, thinks that it doesn't exist. But she also knows that she feels something for Zander. Will he be able to break down her walls and show her that love is possible? I really loved Zander. He was an amazing guy but I sort of knew that already when we met him in Mangled Hearts. I loved how protective he was of his sister and how he took care of his grandmother. Even with Daphne he wanted to take care of her. And be there for her. Daphne has her own issues and I honestly felt bad for her. She has real issues and didn't really know how to deal with them. Yes she dealt with them in a medical way but didn't know how to open up about it to others. She was scared and I honestly understood that fear. I understood her insecurities. Daphne and Zander were so good together. Zander is trying to live the life he wants but it seems that life keeps throwing him a curveball. He has some obstacles to face in his life but maybe with Daphne by his side it will make things better. I cannot wait for the next book to see what happens between the two of them.